The island of Palawan and city of Puerto Princesa are one of the Philippines major tourist spots. People from all over the world come to visit this island paradise and witness the beauty. 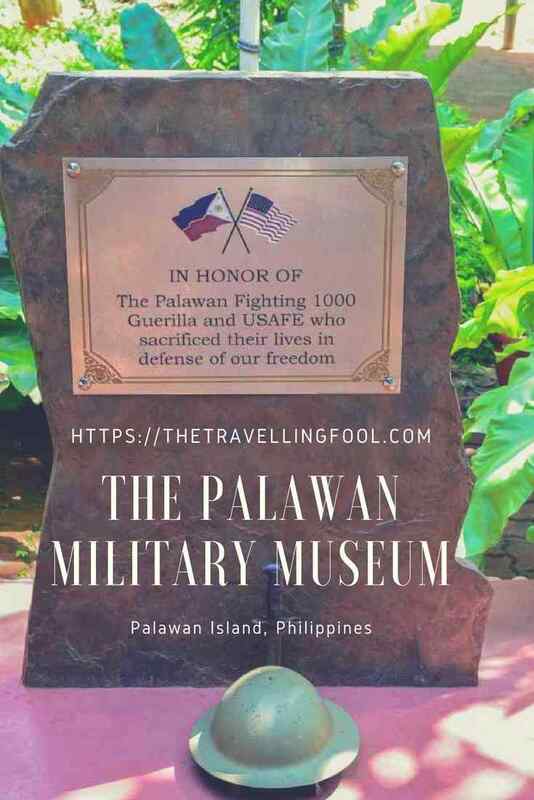 The island is also the site of the Palawan Military Museum, officially known as the Palawan Special Battalion WW2 Memorial Museum. In 1944 the area was controlled, as were the rest of the Philippines, by the Imperial Japanese Army which had captured the country and held the people along with US Military prisoners under brutal conditions. 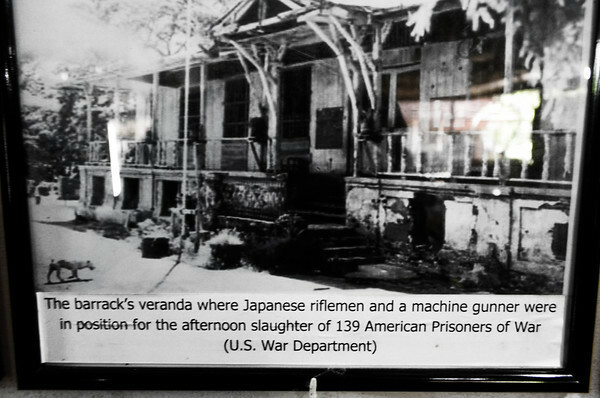 In Palawan American POW’s were being held in order to construct a Japanese airfield. The prisoners were held under harsh conditions with little to eat and a lack of medical care. Also during this time a local Doctor who was the Palawan Governor from 1931-1938 organized the first Guerilla Unit (A Company) in Palawan on February 19, 1942, three months before the Japanese occupation of Palawan. Captain Higinio A. Mendoza, Sr. M.D.is considered a local and National hero today. His unit guarded the shorelines and watched out for enemy activity. The members of the Palawan Fighting One Thousand Guerrilla Unit of World War II, as they are known, were instrumental in uncovering and executing Japanese spies. As a result of the units success the Japanese had him listed as one of the most wanted men in the country. On January 7, 1944, the Japanese captured Dr. Mendoza and on January 24, 1944, he was taken to an isolated spot in Canigaran. There he was made to dig his own grave, then shot and beheaded. 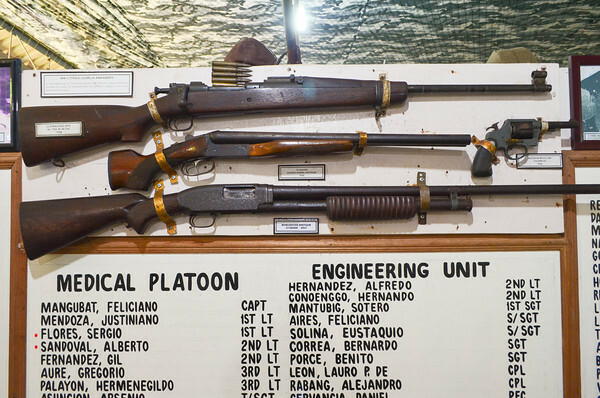 On Dec 7, 2011, the 70th anniversary of the bombing of Pearl Harbor and invasion of the Philippines, Dr Mendoza’s son, Higinio C. Mendoza, known as Buddy Mendoza, opened the Palawan Special Battalion WW-II Memorial Museum in Puerto Princesa. 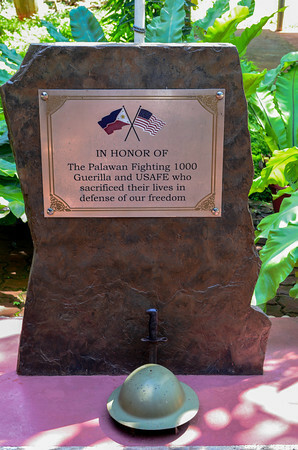 Dedicating the Palawan Military museum to his father and the other brave guerrillas that fought during the war. 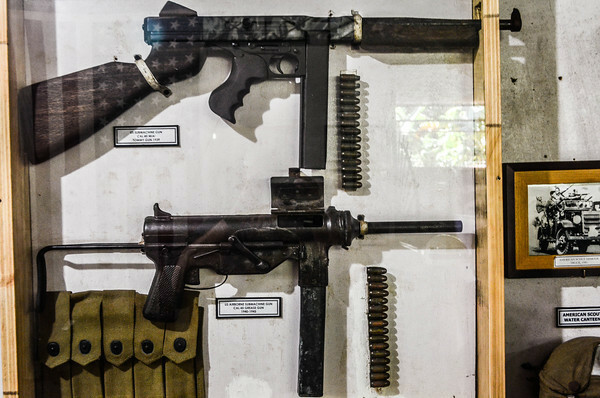 The museum boasts artifacts from WW2 and other memorabilia that Buddy has collected over the years. 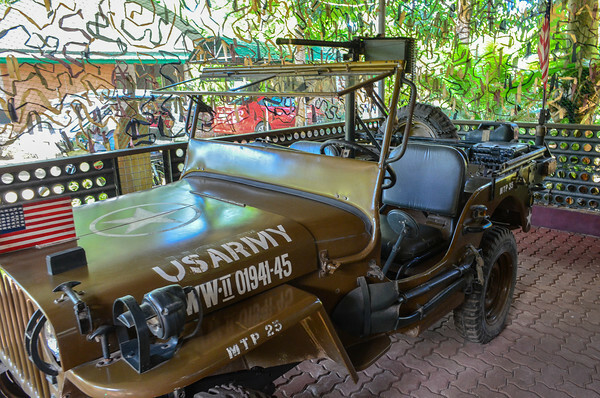 From a WW2 era Willy’s jeep to .50 caliber guns, rifles, pistols and photos that chronicle the war era and that of the Palawan POW’s, the museum brings to life a time which many people today never knew of. 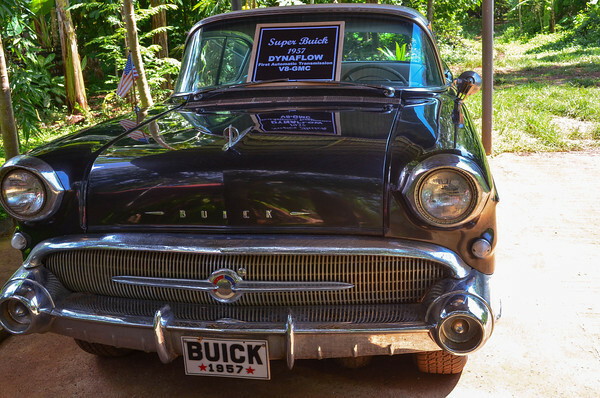 Artifacts from the American Muslim conflict in the early 1900’s and a 1957 Buick are also on display. 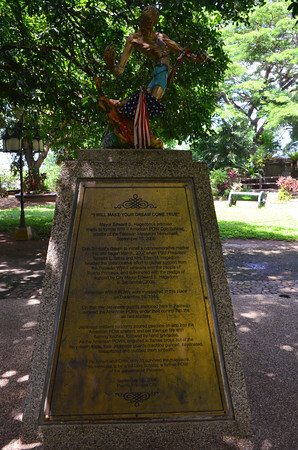 In 1944 the US Military returned to the Philippines to liberate the islands. The US had been sending flights over the island and had conducted a few bombing runs. The prisoners in Palawan, officially designated as Camp 10-A, had dug air raid shelters in order to escape any bombs dropped on the camp. The Japanese army had been seeing ships passing by and had endured a few raids so they knew a landing force was imminent. With each bombing run or ship sighting the treatment of the POW’s got worse. On Dec 14, 1944 around 2pm the air raid siren sounded once again and the POW’s were herded into air raid shelters. After they had entered the shelters the slaughter commenced with the Japanese guards dousing the shelters with gasoline and setting them on fire. With the prisoners screaming and attempting to escape the burning hell the guards opened up with machine gun fire and began bayoneting and clubbing the prisoners to death. Initially 30-40 prisoners escaped to the water’s edge, hiding among the rocks or attempting to swim across the bay. The slaughter continued until dark with the Japanese guards shooting the prisoners swimming in the waters and hunting them down among the rocks on the shore. 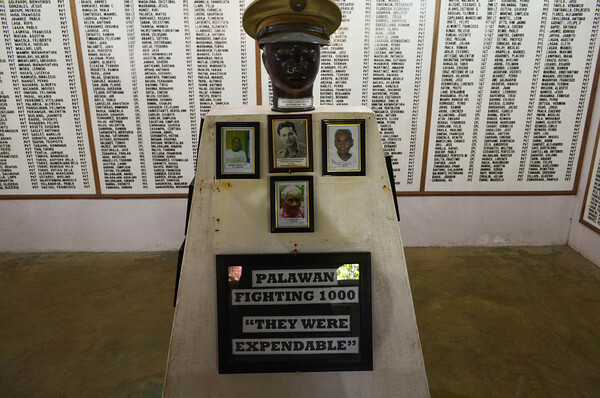 Out of the 146 enlisted men and four officers held in the Palawan prison camp, 11 men survived the massacre. Most of the survivors swam across the bay and were eventually rescued by the inmates of Palawan’s Iwahig Penal Colony, where several of the officials in charge were involved with the local resistance movement. Today the site of the massacre is a tranquil park. 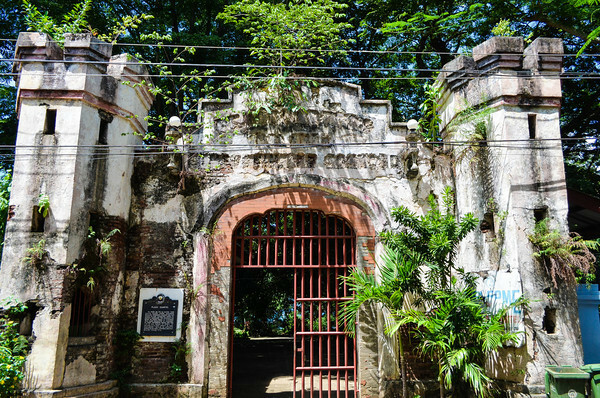 The only remains are the main entrance gate and a memorial now stands on the site of the massacre. When the US forces arrived on the island and discovered what happened they became concerned the same fate would fall upon other POW’s. As a result one of the most successful raids in military history was conducted in Cabanatuan, also known as The Great Raid, where US Army Rangers freed over 500 POW’s. With the time since WW2 fading away and the veterans of that war rapidly dying off it is the effort of people like Buddy Mendoza and others that continue to educate the younger generation of the sacrifices and struggles that so many endured during those years when the world was at war. And to remember that some made the ultimate sacrifice. 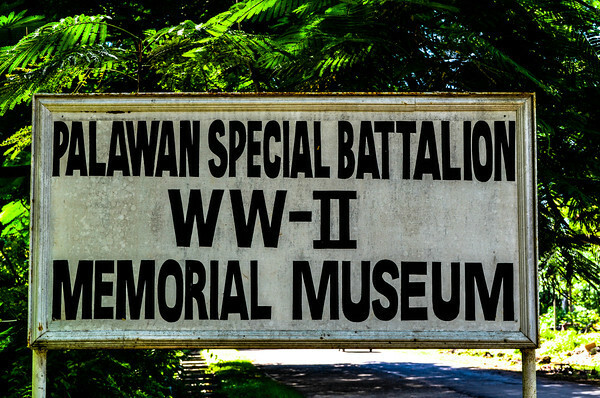 The Palawan Special Battalion WW-2 Museum is located close to the airport at Rizal Avenue Extension, Baragay Bancao-Bancao, 5300 Puerto Princesa City, Palawan, Philippines. 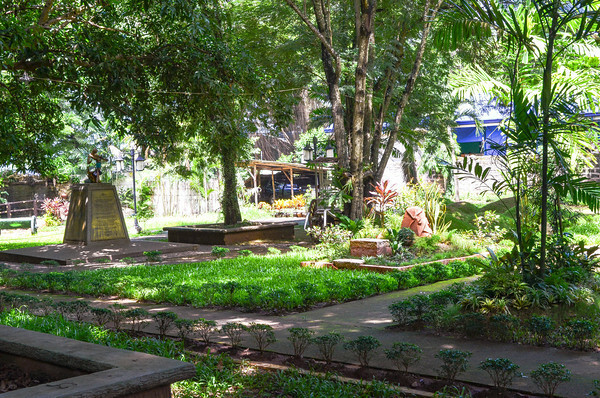 The location of the POW Internment Camp is now a park: Plaza Cuartel located adjacent to Immaculate Conception Cathedral, the city’s main Church. Gruesome history. I never realized how complex the relationships between many Asian nations were — and in some cases still are — as a direct result of all the various conflicts during WWII until traveling the area myself and visiting other similar museums. Never been to Palawan though, that museum didn’t even exist the last time I was in the Phils…. Lot of history here from several different conflicts going back hundreds of years. Nice review of the museum. I can’t wait to finally get to the Philippines after I return to South Korea. There is just so much history there which I love. I wasn’t even aware of the American Muslim conflict – will have to add this to my places to visit when I finally get there. There is a lot of history in the Philippines from the Spanish era and WW2. The island of Corregidor is across from Manila bay and is where the American Military under Gen Wainwright surrendered to Japanese forces and the Bataan death March began. The Moro rebellion was from 1899–1913immediatly after the Spanish American War in which the Philippines came under US control. Thanks for sharing. My dad fought in the British Army in the Far East during World War II. They were known as the Forgotten Army. My intention is to visit these areas at some stage. Mine did too. He was in the Philippines when the were liberated from the Japanese. THANK YOU FOR THE PICTURES OF THE PRISON CAMP IN PALAWAN. MY FATHER, GLENN MCDOLE, WAS ONE OF THE SURVIVORS OF THE PALAWAN MASSACRE. #1 OF MY BUCKET LIST IS TO VISIT PALAWAN AND SEE THE SITE. THE PICTURES WERE ARE AMAZING. I salute your father. People forget some of the atrocities that occurred during the second world war. 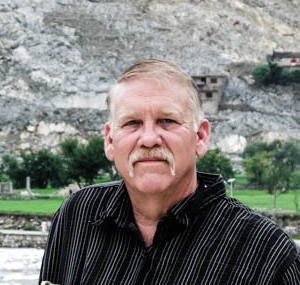 I have visited a few of the significant places in Asia and Europe. Being retired military it is important for me to remember the sacrifices of those before me. Al,it is true there was a lot of brutality during the Pacific campaign. 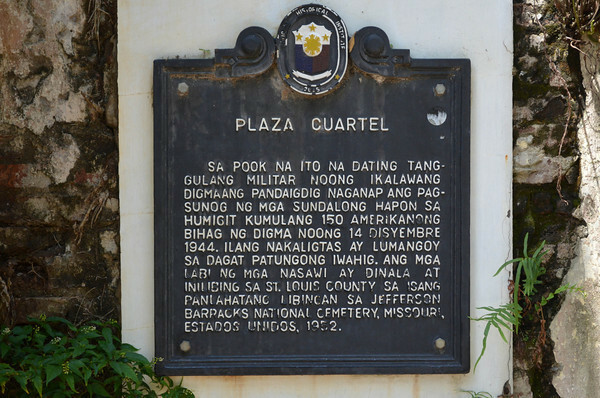 The Philippines has a few sites that are of historic interest including this one and two others I wrote about, The Manila American Military Cemetery and Fort Santiago in Manila. There is also the island of Corregidor. Sun Cruises operates daily tours from Manila to Corregidor. In addition to those there are other sites around the country which played an important role during WW2. While a lot of people don’t bother to visit these sites, instead opting for the beaches, I think it is important to remember history. I also like the beaches though so I make time for both. This is a MUST to visit place in Palawan. When I think of Palawan I think of the beach and the underground river. I have been looking for Tourist Spot in Palawan and that’s the reason why im here in your blog. Sir, This is very inspiring. I have never encountered a museum that talks about the WW2. I salute these heroes who sacrificed lives for the freedom of their homeland. It must be so hard to live before, they may have died in a battle, but their stories lives.Thank you for sharing this sir. God Bless You! Thanks for stopping by Josh. I have always advocated “getting off the tourist path” a little different from the “beaten path”. 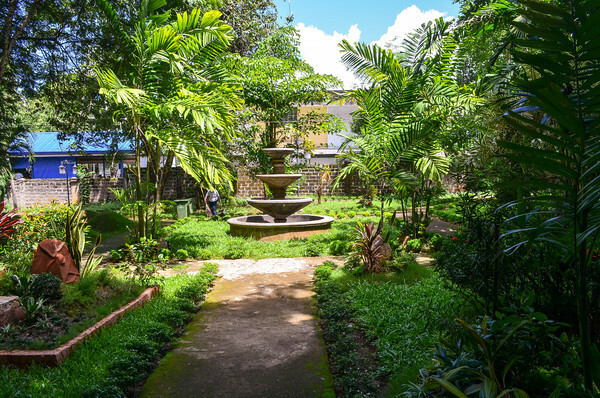 You don’t have to wander into the rain forest or travel to a deserted island in the Pacific in order to discover interesting places, people and historical sites. By just looking a little beyond the main tourist attractions you can find some very interesting things. Good morning Bob from the United Kingdom. I have just found your excellent blog while researching a cruise ship visit to Puerto Princesa and it has made my day. My wife and I are retired Royal Navy Officers and I, like you, am an enthusiastic traveller and military history lover. Whenever possible we try to pay our respects to those who made the ultimate sacrifice in order that we may travel freely. Last year we managed a visit to the Taukkyan British war cemetery outside Yangon (was Rangoon). 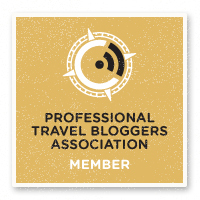 I’ve signed up for your news letter and will post a link and my thanks to your blog when I come to write the review of this particular cruise. Glad you enjoyed it. We have the same interests. I too am retired military. 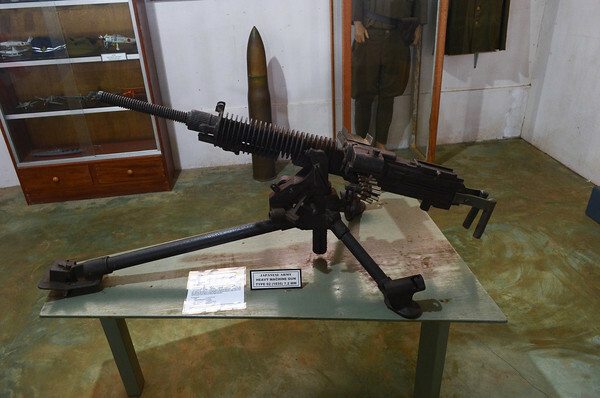 The Philippines has a lot of historical site relating to WW2, as you might imagine. There are several in Manila also as well as other parts of the country. You will enjoy the Museum at Puerto Princessa. It is rather small but well worth the visit. Thank you for this. I will be visiting PP sometime next year and will surely visit this memorial. It is a great little piece of history.